Plot synopsis: An investigator looks into the case of a mysterious doctor with seemingly miraculous healing powers. Based on a short story first published in Galaxy Science Fiction magazine, in April 1951.
Review: This is a story that starts fairly well, with a reasonably intriguing mystery, and an interesting enough set of characters. However, as it proceeds, everything about it feels underdeveloped, and by the end, the listener is still left with many questions. What exactly is the nature of the healing powers the doctor possesses? Does his appearance in this particular time and place have any significance? And what, precisely, is the 'field study' he is undertaking? None of these questions is answered very adequately. Moreover, it never feels as if there is anything very much at stake - other than the future of the main character's marriage - which means that the episode lacks any real tension. Overall, a largely indifferent story. Plot synopsis: When human beings make first contact with an alien species in deep space, the encounter soon becomes a stalemate, with neither captain of their respective spaceships willing to depart the area for fear of leading the potentially hostile other vessel back to their homeworld. Based on a short story first published in Astounding Science Fiction magazine, in May 1945; and later in Murray Leinster's short-story collection The Best of Murray Leinster, in 1978.
Review: This episode is based on a classic SF story, which originated the term 'first contact' - to describe the first meeting between humans and aliens - and also introduced the idea of a universal translator, to allow for communications between the two, without having to rely on the implausible notion that aliens might somehow speak English. Given these ideas, and the story's plot, it is easy to imagine this as a classic Star Trek episode (though years later, the estate of its author, Murray Leinster, in fact entered into a legal dispute with Paramount over its use of the title Star Trek: First Contact for one of its films) or at any rate, as one that would work well dramatized visually. The plot is very clever, suggesting that if first contact took place away from Earth or an alien race's homeworld, the result would likely be a Mexican standoff, as neither side could risk leading an unknown species back to their own civilization, without knowing enough about them to trust that they aren't hostile. What makes the dilemma harder to resolve, even a little poignant, is that as discussions between the two spaceships take place, both humans and aliens come to realize that they are probably very alike. Nonetheless, neither captain feels able to take the chance that the other might simply be deceiving him. 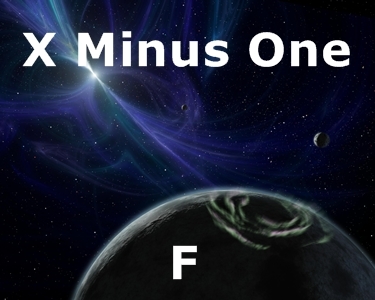 The episode unfolds in a tense, intelligent manner, as the two races try to find a way to break the deadlock, making this one of the best X Minus One episodes. It is interesting, though, that this radio adaptation opts for a different (less optimistic) ending to the original short story. Yet both are strong, so it is worth seeking out the original to see how they diverge.